I first heard of L & D Grill at an impromptu family gathering on Boxing Day last year. 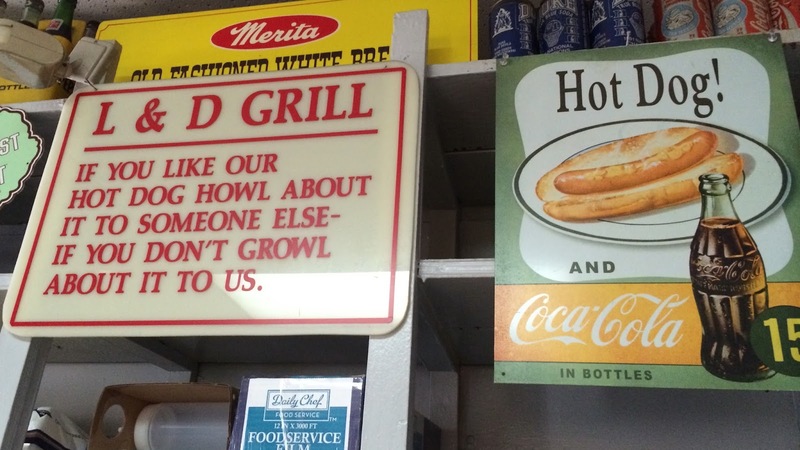 My cousin’s cousin makes deliveries and gets the chance to grab lunch at a wide variety of eateries, and when he discovered my love for Carolina-style hot dogs, he said I had to try L & D’s dogs. Locating the business was a challange, but finding them was a bit easier than finding them open. My first attempt was New Year’s Day. I really didn’t think they would be open, and they weren’t. In fact, I really wasn’t sure I had found the place, at all. 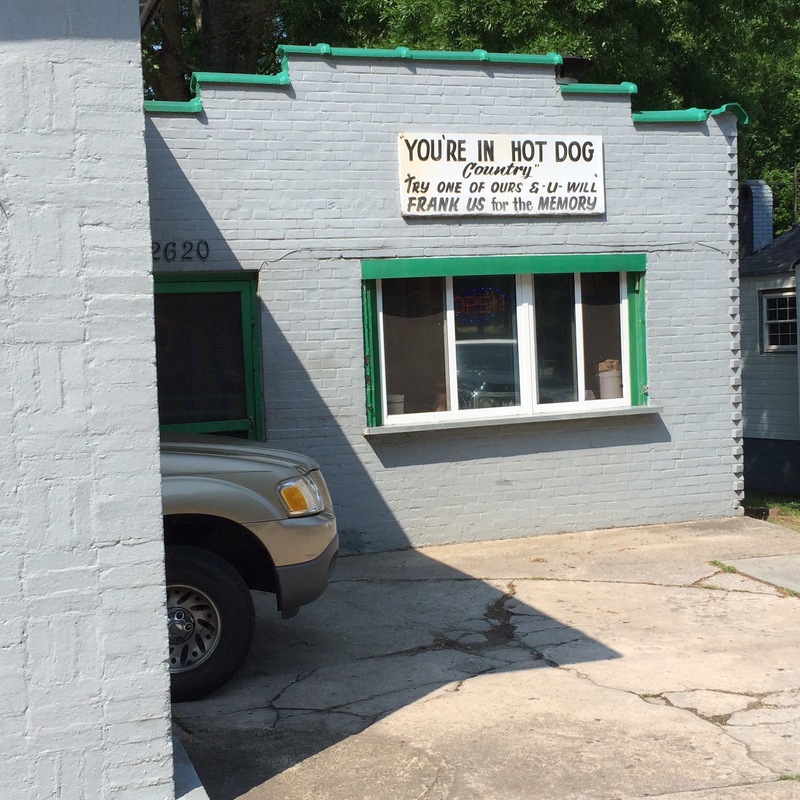 I drove southwest on Angier Avenue from Driver Street to Ellis Road, looking for something that looked like a hot dog stand. I passed many old commercial buildings, some abandoned, some being used, a few rather impressive specimens of by-gone architecture. I couldn’t remember the name, but it wouldn’t have helped. The name is only clearly displayed INSIDE the building. I really did think the building was abandoned, and I was sad that I had missed this “Hot Dog Country.” But I thought I’d continue searching for the legendary eatery my cousin’s cousin had mentioned. This abandoned place haunted me throughout the spring. I also did some research and found that it probably was the right place. And I tried to find out when it had gone out of business. On Memorial Day, I decided to venture back down Angier Avenue. Maybe it just looked abandoned in the dead of winter. It still looked long deserted late that Monday afternoon. A couple of weeks later, I had taken the morning off work. What the heck, I’d give it one more try--this time in the morning. I wasn’t expecting it to be open, and as I drove past, I noticed the window looked fresher. I could have sworn the windows had been boarded up… but these were real windows. And wait, an OPEN sign flashed! Thrilled and excited, I hit the empty cement slab of a parking lot and pondered where and how folks parked there and went for it. Someone else parked close behind, and I followed him in. I’ve read glowing reviews of the fired chicken and chicken-fried steak, and the chicken looked amazing. But I was there for the dogs. 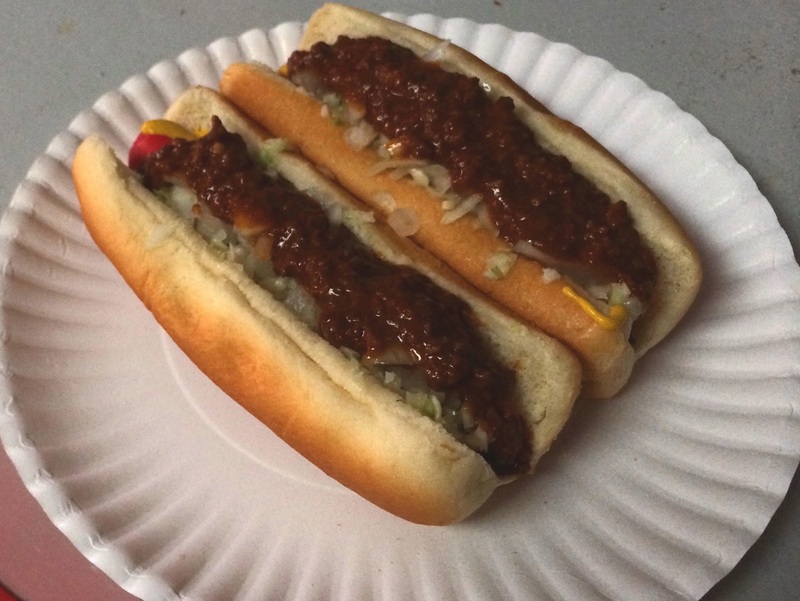 I ordered two with mustard, slaw, chili, and onions and quicker than most other hot doggeries, my food was ready. While I can’t say they are my favorite dogs in the Triangle, they are quite respectable. Their chili is tasty. It reminds me more of chili with tomatoes or tomato paste than the chili I grew up on at King’s Sandwich Shop and the Dog House. It has a definite chili-powder flavor. The slaw was very sweet. In fact, at first, I thought it might have been a very sweet chili, but I’m pretty sure it was the slaw. The onions were mild and tasty. 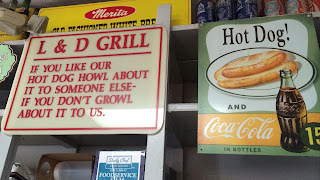 I enjoyed the hot dogs, and I’m thrilled I finally found this place isn’t just a legend. Their service is friendly and inviting, and if I can make it back when they are open, I’d love to have a dog or two again and explore other offerings on their menu. 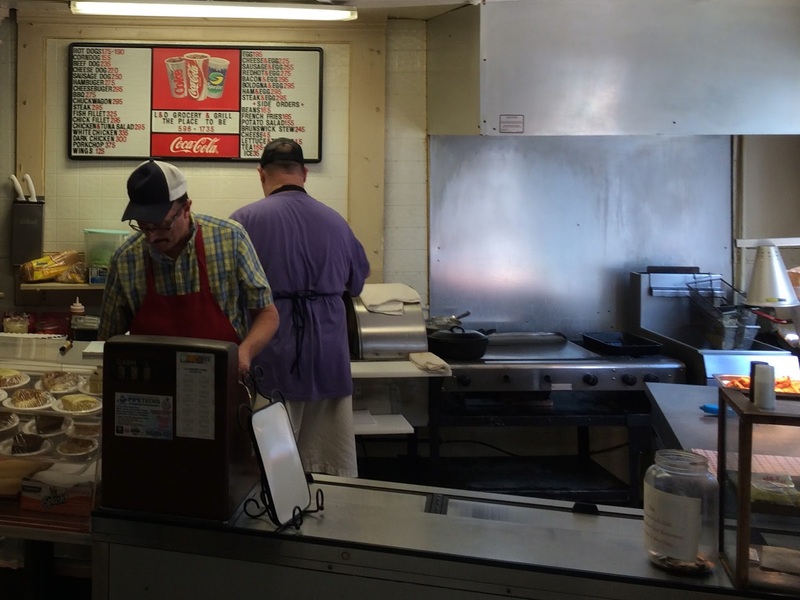 They have chuckwagon sandwiches, and I haven’t seen those since the Bavarian Inn at AppState.